Weleda sees the universe as an integrated whole. It passionately believes that health is much more than a lack of disease, but an integrated state of physical, mental, social and spiritual well being. The essence of the company are the four basic elements that are embedded in our being; Earth, Wind, Fire and Water. As each of these elements are connected to how the body works, they were use to inspire a series of products that explore how could Weleda meet the needs of people in 2020. These products focus on finding new ways of improving the consumers’ lives by engaging them in the process of healing and so supporting the lifestyle of a “health conscious” individual. 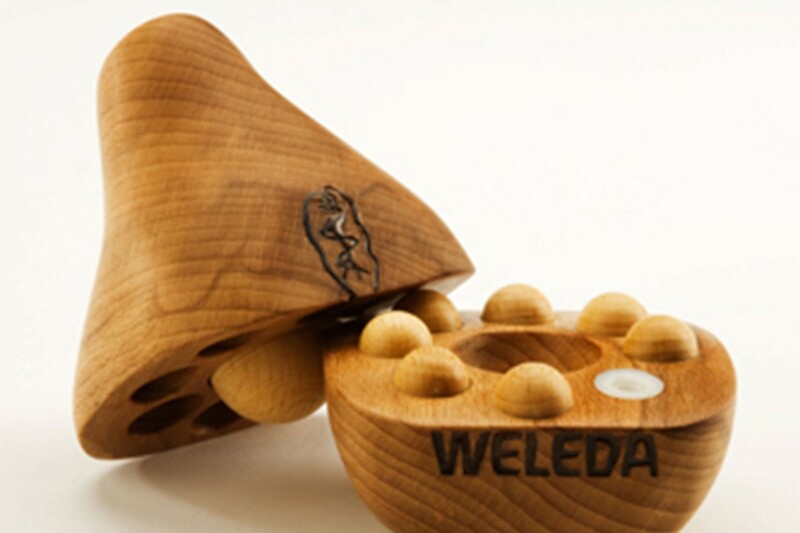 Weleda Pear inspired by earth is a massage tool which helps people spreading in their bodies the extensive weleda’s oil ranges, thus having a more profound effect; Weleda Flow inspired by air helps people dealing with Reynaud’s disease while it also serves as symbol for balance in the house; Weleda Mutka inspired by water both revitalizes water and fosters people to get involved in their healing practices.